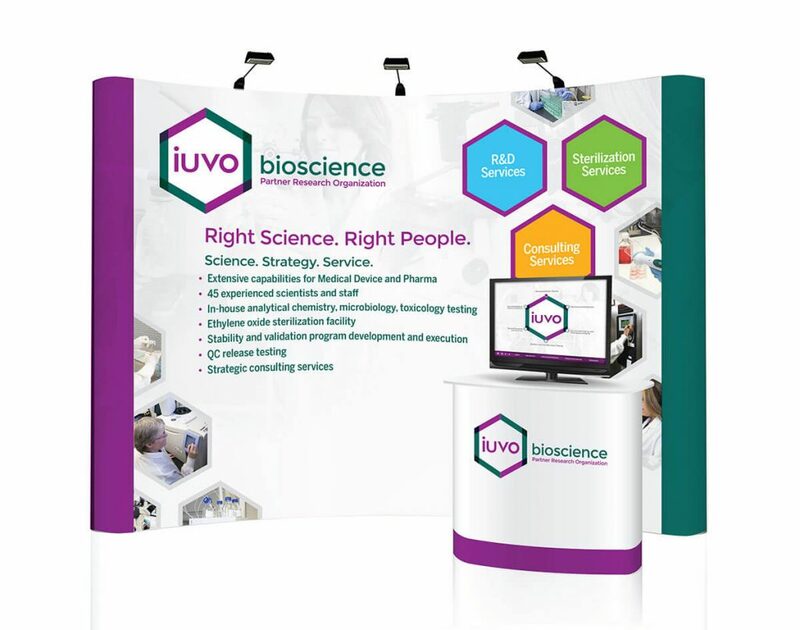 iuvo BioScience is a pre-clinical laboratory testing facility offering analytical chemistry, microbiology, and toxicology testing for medical device and pharmaceutical products and packaging seeking approvals from the FDA. New owners were acquiring the company and came to Mason through referral without a name, a positioning, a website, or any other marketing collateral for that matter … oh, and the kicker, had 45 days to have it all in place so they could hit the ground running day one. After a deep dive into the company’s benefit and promise and the competitive landscape where big players dominated the market share with little attention to customer service, Mason Marketing developed a name, descriptor, and positioning as well as an overall identity to support. Right Science. Right People. 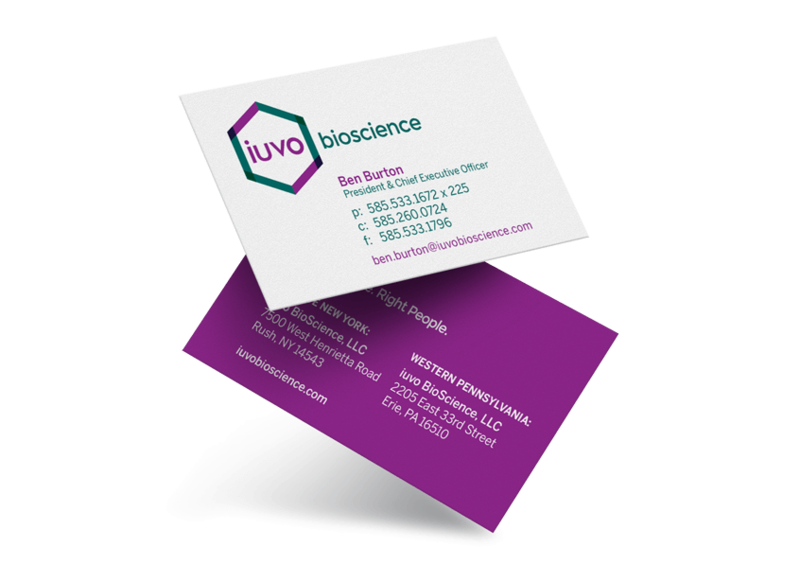 = the promise that iuvo would get it right and had an experienced team to make sure. 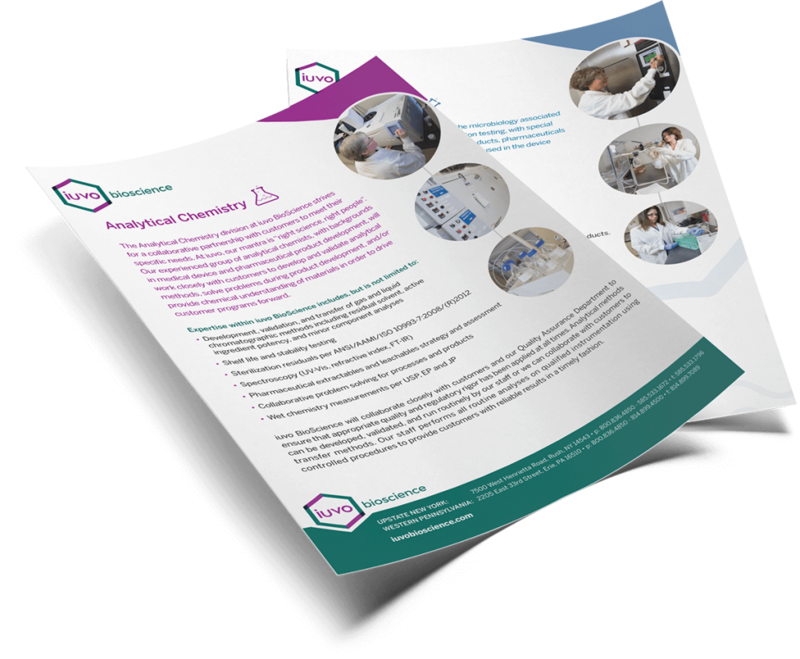 To help build immediate credibility among customers and prospects in the medical device and pharma industries, having the Website live on day one was critical. 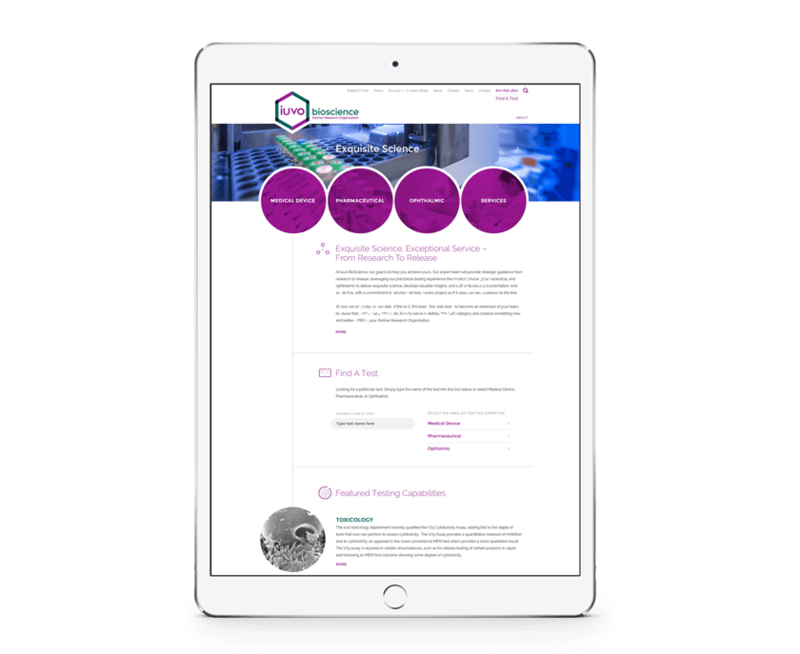 Working closely with Mason Digital, Mason Marketing designed, wrote, and programmed the new site – including team photography and rich content reviewing the extensive capabilities of the company. You would have thought that they were old pros … good thing their agency was. © 2019 Mason Marketing llc. All Rights Reserved.